Last week I had bought some mangoes, as much as I enjoy eating them as such, I wanted to try out something different with it. I had tasted chopped ripe mangoes with chat masala and I had liked it, so thought of trying out something like that, a salad with it. 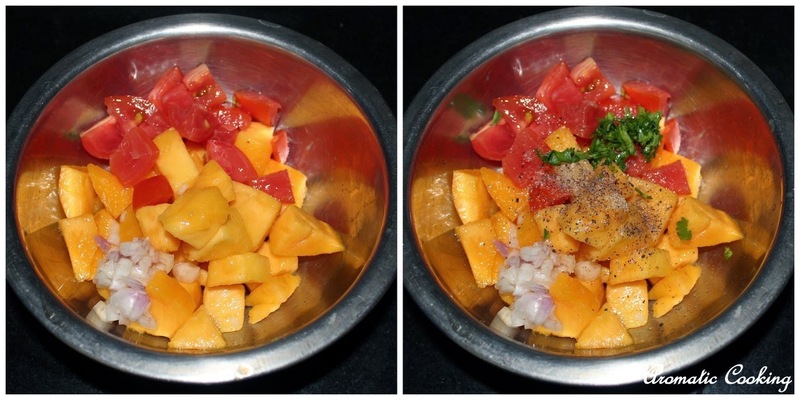 This is a very simple salad, needs no special salad dressing, just regular ingredients in the kitchen, I tried it with only half a mango but it turned out really good, so I made it with the other half too. A perfect side to any meal, rice or rotis or you can even have it with some tortilla ( corn ) chips..
Take the mangoes, tomatoes and onions in a bowl, add the salt, sugar, pepper powder, lemon juice and coriander.Mix it gently and enjoy. If the mangoes are very sweet, then you can skip the sugar. 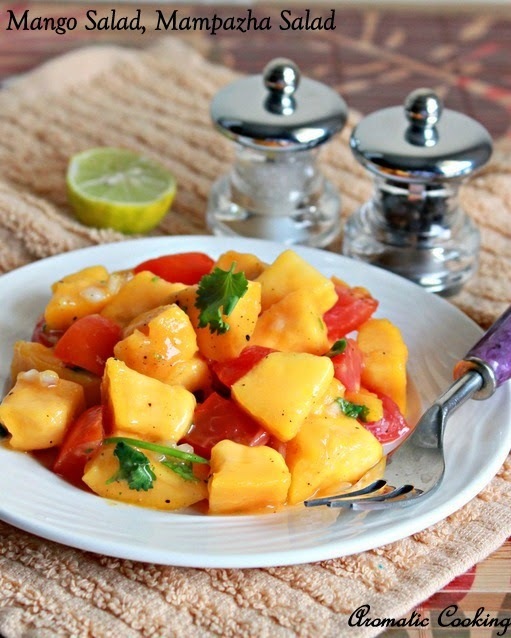 Mangoes are something that can be used in so many recipes. 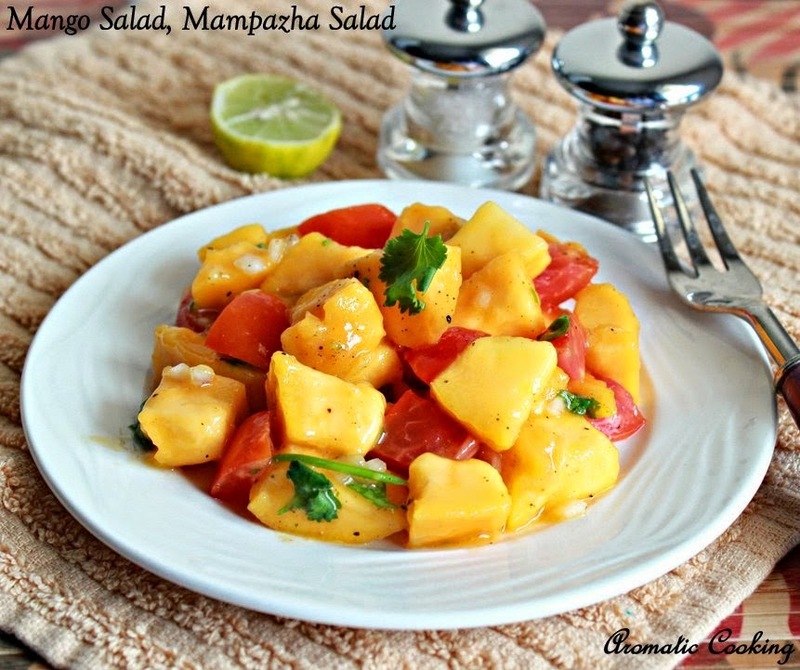 The salad sounds interesting with the tangy tomato and the sweetish mangoes. Y u all time tempting me ! Soo tempting salad, i can have that super attractive salad anytime. What a creative combination! The salad looks super, Hema.